There is such a huge difference between a cistern and a well. A cistern has to be filled with water or collect water from the outside. It is not self-renewing and can run dry. On the other hand, a flowing artesian well has water that bubbles up under its own pressure with its cool and refreshing blessing. This same difference exists between a person trying to be spiritual based on his or her own efforts and a Spirit-filled person. When we become Christians, Jesus blesses us with his Spirit. The Spirit's presence and power in our lives make all the difference in the world. 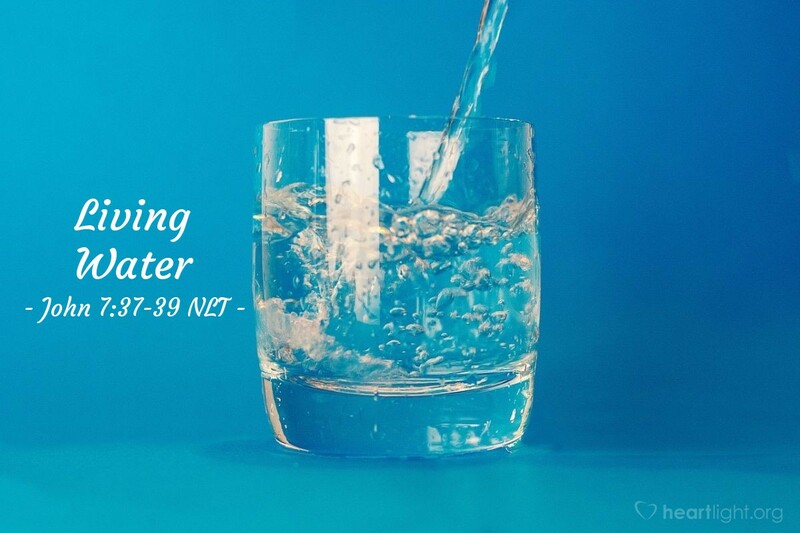 The Spirit is living water inside of us, renewing us, refreshing us, empowering us, slaking our spiritual thirst, and giving us life. Living for Jesus is more than just a spiritual commitment on our part requiring our effort; it also depends on the gift and the blessing of Jesus enabled by his Spirit. Holy God, my Righteous and Eternal Father, the gift of your Son who died for my sins is such a gracious and wonderful blessing. To add the gift of your Holy Spirit, given to me by your Son Jesus, is such a daily treasure and sustaining grace. For these gifts, the two greatest of my life, I give you thanks and praise as I dedicate my life to your service in Jesus' name. Amen.